Matt Taibbi has penned an essential, excoriating and evocative work that can be considered to be a pioneering effort in the realm of Social Sciences. 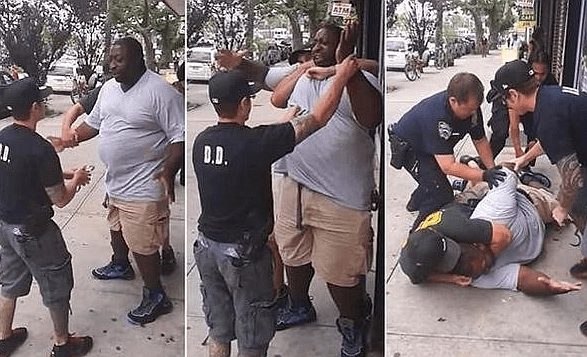 On the 17th of July 2014, forty four year old Eric Garner was put in a choke-hold (a maneuver deemed to be illegal by the Police Department decades ago), by an officer of the New York Police Department, Daniel Pantaleo. After Pantaleo removed his arm from Garner’s neck, he pushed the side of Garner’s face into the ground while four officers moved to restrain Garner, who repeated “I can’t breathe” eleven times while lying facedown on the sidewalk. Garner remained lying on the sidewalk for seven minutes while the officers waited for an ambulance to arrive. The EMTs did not perform CPR on Garner at the scene. He was pronounced dead at the hospital approximately one hour later. Garner’s crime: “suspicious of selling ‘loosies’ (loose cigarettes) from packets bereft of tax stamps”. But did Garner’s crime predominantly reflected the fact that he was also black? Matt Taibbi takes on this crucial question in this riveting and fascinating book that deals with urgent but seemingly intractable issues such as racial profiling, police brutality and intransigence of policy makers and legislators alike in redressing a situation that is swiftly taking on grave proportions thereby polarising the American society. Although focusing on the Garner case, Taibbi sketches out the evolution of radical, draconian and antediluvian police policies such as ‘Broken Windows’ and ‘Clean Halls’, the outcome of which resulted in dire, incredulous and selective violations of privacy, dignity and self esteem of people whose sole crime lay in the fact of their dwelling in a particular neighbourhood and most importantly, in the targeted individuals being black. Matt Taibbi also demonstrates in heart wrenching and rage inducing detail, the chicanery and deviousness resorted to by the policy mavens and law makers alike to deny justice to the oppressed and obfuscating every move made by public interest groups such as NYCLU, Legal Aid and NAACP to fight for the truth. Making liberal use of legal loopholes and taking advantage of stray incidents of violence perpetrated against cops, the city administration builds up a powerful construct of lies, bureaucracy and brazen bias to thwart the attempts made by either the affected or the family (where the deceased has been a victim of police brutality and misdemeanor) to bring the culprits to book. With the election of the incendiary, pompous, intimidating caricature of a brute to the highest office, it is with trepidation that a part of America goes about its livelihood. Walls, physical, symbolic as well as metaphorical are cleaving the population of an economy measures superiority in purely monetary terms and racial overtones. Overtones which mean that even in a century highlighted by unimaginable progress in technology, science and the arts, being born of a particular colour is still considered to be a debilitating curse!